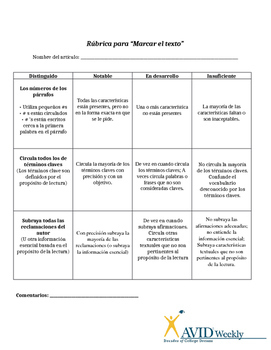 MARK THE TEXT IN SPANISH with RUBRIC in SPANISH. Marcar el Texto con rúbrica. 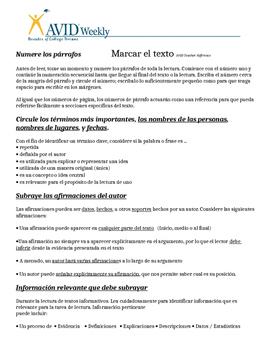 Mark the text in Spanish with Rubric. Marking the text is an active reading strategy that asks students to identify information in the text that is relevant to the reading purpose. This strategy has three distinct marks: numbering paragraphs, underlining, and circling.